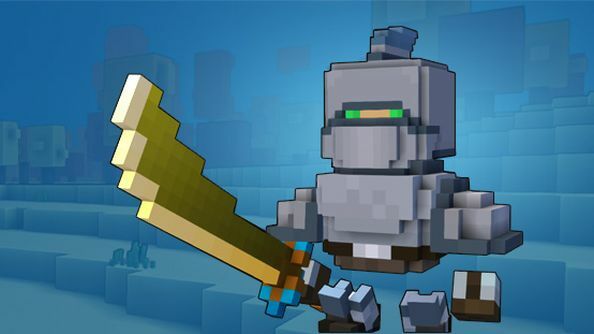 Using Trove commands you can teleport, show mastery rank stats, unlock cheats and more. They’re simple to use, and can make a huge difference to your game, covering a wide variety of functions. And because we’re nice like that, we’ve hunted down every single command that can be used in Trove: what you need to type, what each one does, and how you can modify them for different effects. 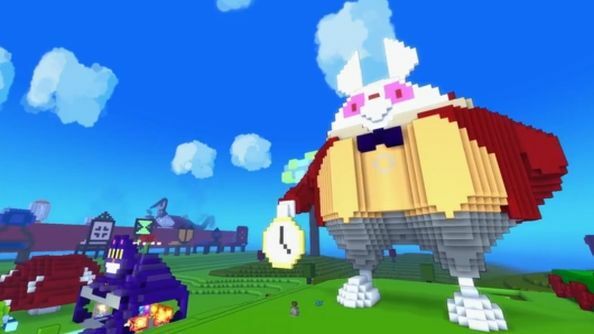 If you’re playing Trove without using commands, you’re doing it wrong. How do you enter Trove commands? You don’t need to do anything convoluted to input commands – you can key them in directly into the chat window. You’ll need to begin each command with a “/” (without quotation marks), followed by the command itself, and finally with any modifier if there is one. If a command is a toggle, typing 1 after the command turns it on, while typing 0 after the command will turn it off. This will list all the players who are in the same chat as you. You can modify it by adding a specific chat after the command e.g. /chatlist . Completely resets your cornerstone to flat land. 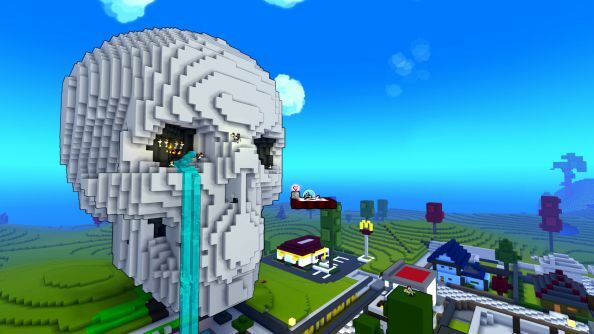 Warning – this will delete everything on your cornerstone, forever. Luckily, you’ll need to confirm it to avoid any slip-ups. Typing in this command will bring up a wealth of debug information: latency, FPS and player coordinates. This will open up your friends list. You can also accomplish this by pressing the “O” key. Displays the ID of the world you’re currently in. Displays your current level, as well as the amount of XP you need to level up. Puts a player on your ignore list. You can specify the player by typing /ignore . This will send a request to join your world. If accepted, the player will teleport to the requester’s location. This will report to the chat your current location using XYZ coordinates. Shows your mastery rank, stats and experience level. Causes the game to shutdown immediately. Forces you character to respawn. This will toggle your mask model on or off. Stats from your mask gear will still be in effect regardless of this option. This will toggle your hat model on or off. Stats from your hat gear will still be in effect regardless of this option. Teleports the player to the Tutorial World instantly. Opens up the welcome screen. Lists every player that is in your current world. Sends a message to world chat. Joins or creates a chat channel. You can specific the channel by adding after the command. Joins a specific chat channel room. You can specify the channel name after the command with a number e.g. /join . Leaves the current chat channel. Sends a reply to the last whisper you have received. Send a message to nearby players, who can see your message as long as they’re within a 40 block range. Send a private message to a specific player. Type in the players name after the command e.g. /whisper . Access the adventure chat to make groups for adventure portals. Access the fishing chat to find others to fish with. Access the price chat to get price checks on specific items. Access the recipe chat to look for players who’ve found recipe lairs. Access the Shadow Arena chat to look for other groups of players to take on Shadow Arenas. 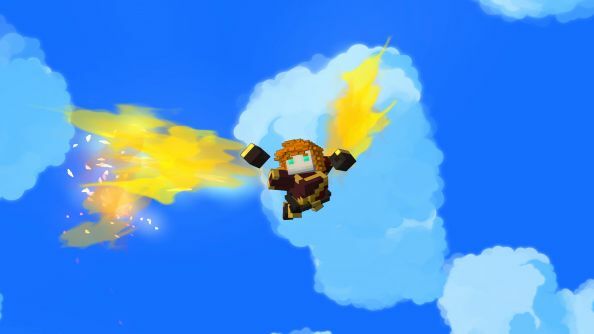 Access Sky chat to find other groups of players to take on the Sky realm. Access the trade chat to barter items with other players. Causes your character to dance. Causes your character to laugh. Causes your character to pose in a battle-ready stance. Also displays your equipped wings. Causes your character to shrug. Causes your character to sit. Causes your character to sleep. This will auto-activate if you’re AFK for more than two minutes. This will list all club commands. De-rank a specific player. Type the player name after the command e.g. /club demote . Invite a player to your club. Type the player name after the command e.g. /club invite . Kicks a player from your club. Type the player name after the command e.g. /club kick . Lists all members of a club. Displays recent edits to the club world and all club inventories. Gives a specific club priority over others. Increase the rank of a specific player. Type the player name after the command e.g. /club promote . Designates a zone that only club members can access. Captures and stores a 2x-sized screenshot to four separate files, each a quarter of the total screen size. Captures and stores a screenshot of your current screen. Does not include your UI. This command will hide or remove your UI; you should use the F7 key instead though. Captures and stores a sequence of screenshots from the position the command is initiated. A number after the command denotes the amount of screenshots e.g. /timelapse 5. The default is 20. Preview a specific cornerstone decoration, denoted by the blueprint after the command e.g. /decopreview . Preview a dungeon fully assembled. Preview a specific cornerstone face decoration, denoted by the blueprint after the command e.g. /facepreview . Replaces all connected blocks of the type which you have your mouse over, with the one you have equipped. Preview a specific hair, denoted by the blueprint after the command e.g. /hairpreview . Preview a specific hat, denoted by the blueprint after the command e.g. /hatpreview . Loads a specific blueprint, denoted by the file name after the command e.g. /load . Teleports you to the Meta Forge. Saves a specific blueprint, denoted by the file name after the command e.g. /save . Typing only /save will automatically save over the last loaded blueprint. Sets the time of day, between a value of 0-24 e.g. /settime  sets it to 3pm. Allows you to test how a weapon blueprint looks in-game. Increase or decrease your render distance with a specific value e.g. /drawdistance . The default is 128, and ranges from 32-210. Switches on or off special effects, including clouds. Increase or decrease the Level of Detail. Default is 60, and ranges between 15-96. Switches on or off MultiSample Anti-Aliasing. Switches on or off Bloom. Switches on or off Depth of Field. Switches on or off the black borders. Sometimes may not work properly. Switches on or off Fast Approximate Anti-Aliasing. Switches on or off Lens Flare. Switches on or off 16-bit graphics. Switches on or off various shader effects. Turning it off will make it harder to see in dark areas. Determine the render strength. The default is 1 (100%); 0 is 50%, 4 is 200%, and 10 is 300%. Switches on or off Vsync. Determine the main game volume. Default is 25, ranges between 0-100. 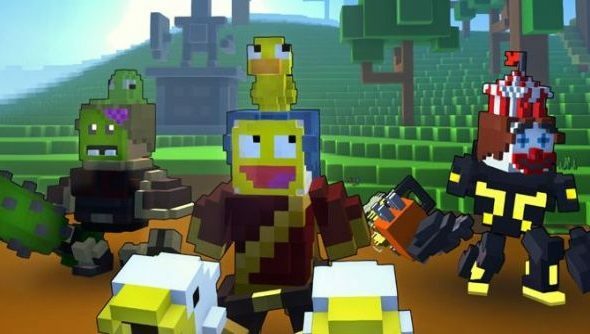 Are you playing Trove? Been making use of any commands so far? Let us know in the comments.